CBD oil is a completely vegetable and natural product. CBD Oil is actually meant with CBD enriched hemp seed oil, making the CBD of the Henneplant flower and leaf. Of CBD Oil, no side effects are known. Read all about THC and CBD Oil. It is a liquid, also oil, and is made from the flowers and leaves of hemp plants that contain relatively much CBD. But what’s the difference with weed oil? Now, the big difference between weed and hemp is the psychoactive resin that is on weed and not on hemp. This allows you to make a paste with high CBD content and without THC from flowers and leaves of the hemp plant. When making CBD Oil, hemp seed oil is often added to this paste to make it more dosable and nutritional supplementary. CBD stands for Cannabidiol and is a non-psychoactive cannabinoid that is found in hemp. The CBD products we sell have been all tested and safe for sale. Particularly, the CBD Oil of the Azoth brand, which is the only CBD brand in Europe, is biologically certified. The CBD products sold by us meet our (high) quality requirements. The difference between the oils is in particular in the CBD concentration. The CBD oils with a higher percentage of CBD often have a greater impact than the CBD oil with a lower percentage of CBD. Is CBD free to sell? 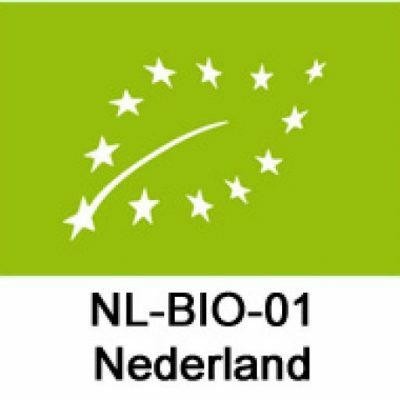 Yes, our CBD products are 100% freely available in the Netherlands and also in most other European countries. It is made of hemp fiber and therefore does not contain THC. THC is indeed illegal in most European countries. What should you consider when purchasing CBD products? See what cannabinoids are like in the CBD? What oil quality has been used to solve the CBD? For the sake of clarity, a brief explanation of the origin of our products. The industrial hemp where all our CBD products are made comes from the botanical family “Cannabis Sativa Linnaeus”. This is the botanical umbrella name for all cannabis species. Industrial fiber hemp is the noble nephew in this large botanical family. In fiber hemp there are no psychoactive substances. Therefore, there is no difference in any Indica or Sativa effects, because these properties do not have hemp as a whole. In our experience with CBD oil, it has often been wise to start with an average concentration, try carefully starting 2 drops a time 3 times a day at the meal. In addition, we advise ANYONE to discuss the use of cannabidiol products with your treating physician, as we can not provide medical advice about the use of our CBD oil. What’s the difference between CBD and THC oil? CBD is made of hemp and contains hardly any THC. THC oil is made of weed or cannabis and contains a lot of THC and usually little CBD. THC oil is also called Rick Simpson oil and is illegal in the Netherlands because of the presence of THC. In the Netherlands, the CBD has almost completely disappeared from the weed and cannabis plant by cultivation. Hemp species are currently being developed with a high level of CBD. These plants are used to make CBD Oil. Do you get CBD oil High? Buying CBD is easy and discreet with us online, Best CBD has only the best brands of CBD Oils to buy available. Ordered today often means home tomorrow. Through this link in our CBD store, you can buy Buy CBD Oil . If you would like personal contact with the various possibilities with CBD products, we are waiting for you. Call us or send an email with your question , we usually respond within half an hour. In our experience with CBD oil, it has often been wise to start with an average concentration of 5%, try starting 2 drops a time 3 times a day. In addition, we advise ANYONE to discuss the use of cannabidiol products with your treating physician, as we can not provide medical advice about the use of our CBD oil. How many drops of CBD oil should I use? The use of the CBD can vary by person and by product. Always start quietly and at low dosage. The advice is to start with 1 to 2 drops at a time and then use it 2 or 3 times a day. After this, the dose can be adjusted as needed. Also read the information supplied with the product for advice on the use. CBD stands for cannabidol and is one of no less than 104 cannabinoids naturally occurring in Cannabis sativa. CBD is extracted from the peaks of these plants. The CBD products sold by us are made of hemp, this hemp is fully biologically grown in the Netherlands and Austria. A cannabinoid is a substance that can bind to a cannabinoid receptor, of which at least 2 types exist, CB1 and CB2. Cannabinoid receptors are part of the human body and are involved in various physiological processes including appetite, painfulness, mood swings and memory. There is much uncertainty about the dosage of CBD. The correct dosage of CBD Oil differs from person to person. We recommend starting a low dose and then building it further until the desired effect is achieved. On this Dutch website there are advice on the dose per illness. Dosage of CBD in relation to complaints. How can you best get the CBD? The CBD can take you best under the tongue, sit down and swallow it. The easiest thing is to drop this with a pipette bottle and with pasta on the finger and then lubricate under the tongue. To dope more precisely, you can drop it by hand and then pick it up with your tongue. Some people do not like the taste or a bit of listing. In that case you can also drop the oil on a piece of bread. Always shake well before use. The effects of CBD Oil are vast and different from human to human. Every user has their own experience with CBD, so there is no clear answer to what the impact of CBD Oil is. But that makes sense, that’s clear. Do some research on the internet by just going to Googelen on “cbdolie”. Is vegetable oil the same as CBD Oil? Weed oil is not a CBD oil and we will never mention it. Buying vegetable oil is actually the same as buying THC Oil. However, we will never meet this question because the sale of weed oil is simply forbidden. Fortunately, there are strict sales of CBD products that contain nutritional cannabinoids in order to ensure that the opium law is not violated. For example, if there were THC in our products, the Opium Act will be violated. Fortunately, THC is never in our CBD products! We will always keep our legislation on weed, hemp, and hemp products. There will be CBD but never THC in the products offered by us. We meanwhile are a highly trusted supplier with a lot of knowledge and experience in the field of cannabidiol, CBD, or cannabinoids in general. We therefore NEVER deliver THC products. Do I get high or stoned from CBD? No, again for the sake of clarity: CBD products do not contain psychoactive substances and you are not high or stoned. People do indicate that it is relaxing. If you are sensitive to it, you can overcome some light. Is this a CBD store? In our CBD store you can order all available CBD products online from your lazy chair. Discrete shipping, packaging, and secure payment are keywords. A CBD store online that provides lightning packs a package or envelope to your doormat. We support our customer service, because price is certainly not the most important factor in choosing a CBD store. Where is cbd oil good? One question that is often asked us is where CBD Oil is good? CBD oil is often used as a dietary supplement. A lot of people experience this product and use it to full satisfaction. CBD oil can also be used for humans and animals. How long is CBD oil sustainable? The CBD Oil can best keep you cool and dark, for example in the refrigerator. The oil is then at least 1 year shelf life. Keep in mind that due to cold storage of CBD oil, fluidity decreases. Therefore, use CBD Oil preferably at room temperature. Does CBD also help with my disorder? We sell CBD paste, oil and other forms of CBD as a dietary supplement and do not make medical statements about the products. Many people, so our customers also benefit from the use of the various CBD products. 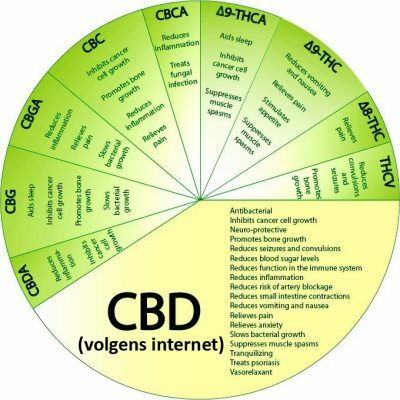 Want to know if CBD can help you too, do some research on the internet by just going to Googelen on “cbdolie”. In most of our CBD products there are also hemp seed oil. Hemp seed oil is a biological product made of cold-pressed hemp seeds. For the pressing of these hemp seeds, first remove the peel. Pressing the seeds cold means that high-quality essential ingredients remain present in the oil. The terpenes are one of the most common substances in natural products. Terpenes have various, very diverse functions in plants. In foods and dietary supplements, terpenes are especially important because of the aroma and aroma they have. The aroma of the many types of cannabis sativa plants is therefore largely determined by the different terpenes. This works the same as bee, citrus fruit, nutmeg and many other herbs and spices. Do you also send CBD to Germany or France? Yes. The CBD is made of hemp and is legal in most European countries. Always check the legislation in your own country. We are not responsible for local legislation. No side effects are known during normal use of CBD oil. Do the CBD products also have a user manual or leaflet? No, most bottles of CBD are supplied without instructions or leaflet. The CBD oil and pasta can only be used as food supplements, and producers are therefore reluctant with marketing texts and specific advice. What are the experiences with CBD products? We have customers that benefit greatly from the CBD oil, but there is also a group that has little benefit. This can be due to a low dose or because you stop using too quickly. CBD oil is not a miracle, it is a substance of nature that can make a positive contribution to the balance of our health. To read more experiences from other customers, you can also look at CBD Oil or THC Oil Forums. Regarding the latter, you can make THC oil yourself in the Netherlands, for example with a cannolator. Would you like more information about one of our CBD products, or do you have other questions or need for advice? Did not you find the answer on this page? Please contact us. In the first column of each page on this website is our phone number and a button that allows us to send you email directly. We will always answer your questions as quickly and best as possible. Proper use of CBD for use as a maintenance product also involves increasing attention to a healthy lifestyle. We are convinced that it is possible to renew life with many years in a natural and good health. In particular, do not underestimate the effect of good sleep, regular exercise, and healthy food. CBD is a nutritional supplement and can be used for a longer period of time, sometimes even for life. Many people have little trouble with it: taking the CBD becomes a habit, as there are many good habits. To taste you will get used to yourself and if that continues to be a problem, just take the vegetarian capsules. But some other people are having trouble. That’s also understandable: they have no complaints yet, but they want to take CBD – maybe their further lives. Even if you start motivated, you can eventually doubt the usefulness of CBD. Once you have been set to take CBD, you may feel well. You can then think you do not need the CBD anymore. Keep in mind, and take our CBD oil as a maintenance product, you will not regret it. This depends on the dose, the purpose and the expectations. Some people feel the calming and relaxing effect of CBD within 15 minutes under oral use under oral use. Use your CBD for other reasons than the physiological effect may take longer. Think about it for a couple of weeks. So do not stop using CBD.